Multiple sclerosis (MS) is a progressive disease—one that changes and worsens over time—and it has no cure. If you've been diagnosed with MS, you'll need to be seen regularly by a neurologist—a doctor who specializes in diseases and conditions that affect the nervous system. This could be the neurologist your regular physician referred you to when you started having symptoms, of course. But if for any reason you feel this doctor isn't right for you, you may feel daunted by the prospect of searching for a new one. The key: Take a step-by-step approach to zero in on a multiple sclerosis practitioner who you feel you can trust to care for you now and into the future. There are no cookie-cutter MS doctors. Neurologists approach the job of caring for MS patients from different vantage points, and some may have special areas of expertise or strengths that resonate with your medical history. Although many doctors focus only on MS, others treat multiple neurological diseases and disorders, such as stroke, Alzheimer’s disease, and epilepsy. A possible advantage of teaming up with an MS-only neurologist is that he or she likely will have seen more patients with MS than a more general practitioner and may have experience with more variations of the disease. In addition, the staff of such a doctor may be especially knowledgeable and able to answer many of your basic questions. Some neurologists rely largely on disease-modifying medications and will start virtually every new patient on such treatment. Others take a more holistic approach and integrate psychological support, nutritional guidance, and physical therapy into patient care. They may even suggest and help you use complementary and alternative medicine (CAM) options, such as yoga, meditation, and more. Many neurologists who do multiple sclerosis research at academic medical centers also care for patients. There are pros and cons to signing on with such doctors. One advantage is they tend to be current on the latest treatments. On the other hand, their involvement in research may cause them to be less accessible. If you find a doctor who seems to be a perfect fit but is based some distance away, it's important to keep this in mind. Even if you're willing to make the trip, it may be wise to estimate factors such as conflicting commitments, travel costs, and fatigue. Having a long-distance doctor also may be disadvantageous if you need immediate treatment for an MS flare of symptoms. Armed with a broad idea of the type of doctor and care you're looking for, begin gathering names. 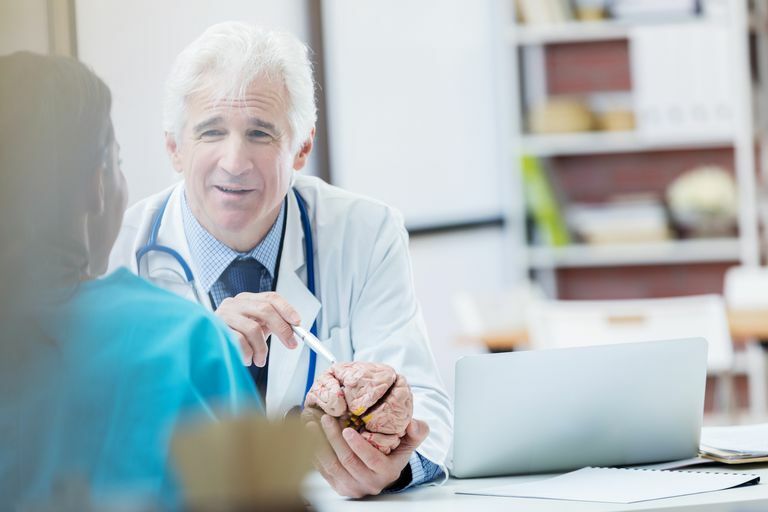 Since you ultimately want a doctor who accepts your health insurance, you may want to start by getting a list of neurologists who are on your plan and within easy traveling distance. Most carrier websites have tools to help you filter a search accordingly; alternatively, you can call customer service for assistance. Local or online MS support groups: Asking members who've been treated by a particular doctor is one of the best ways to get a patient's POV on everything from accessibility and wait times for appointments to bedside manner and communication style. The National Multiple Sclerosis Society (NMSS): Find your local chapter by calling 1-800-FIGHT-MS (1-800-344-4867) or going to the NMSS website. The American Academy of Neurology (AAN): This professional organization's website can provide information about specific doctors. PubMed: This is the National Library of Medicine’s database of medical research. You can search a doctor’s name on PubMed by typing in the last name and the first initial followed by “multiple sclerosis” to learn about research studies a particular doctor is or has been involved with, if any. The doctor won't be the only person in a neurology practice you'll want to factor into your decision. Although it sometimes is possible to schedule an appointment with a doctor on the website of the practice, at least for an initial meeting it's a good idea to call the office and speak to the office manager or receptionist. You'll get a sense of the general vibe and also may be able to get answers to some of your general questions about, say, the doctor and his or her style. How often will you want to see me? What is your approach to treatment? Do you have a standard protocol or will you create a customized plan for me? Will you be willing to help coordinate my treatment with other specialists? Do recommend or support complementary and alternative medicine? How do you like to be contacted between regular and scheduled appointments? Do not hesitate to ask these or any other questions; assert yourself to make sure they get answered. If you're concerned about this, bring a trusted friend or family member to take notes, ask follow-up questions, and advocate for you. This person can also provide you with his or her opinion of the doctor after the appointment, which can be especially helpful if you're on the fence about a particular practitioner. Once you've chosen a doctor, there are things you can do on an ongoing basis to be an empowered patient at each visit. To begin with, don't assume that your doctor is going to take the lead and tell you everything you need to know about, say, your latest imaging test or new symptoms. Treat doctor appointments like important business meetings—prepare for them. Get your thoughts and questions organized beforehand, and don’t think you're overstepping your boundaries: Your doctor actually will respect you for coming prepared and appreciate your efforts. On paper, summarize how you're feeling and how your MS is affecting you in short, direct bullet points. For example, to help your doctor understand your pain, a symptom that can be especially difficult to describe, jot down as many descriptors as you can and be very specific. For instance, don't say your back hurts, but rather "my low back hurts and sometimes the pain shoots down my back leg." Or when describing how the pain feels, use words like "throbbing," "sharp," or "stabbing." Also list lifestyle adjustments you're making—i.e., changes in your diet, exercise, and supplements. Let your doctor know about any alternative treatments you receive, such as acupuncture, chiropractic care, and massage therapy. Make a list of anything about your health that you want to improve. For example, if you let your doctor know that you are having trouble sleeping, he or she may change the time of day you take a medication, which may make a big difference. Keep in mind there's no such thing as a bad question or topic, especially when it comes to taking charge of your healthcare. What some people may think is insignificant—say, not being able to finish the Sunday crossword puzzle—may be a big deal to you. Likewise, unusual concerns like wondering if laser hair removal treatments will cause an MS relapse are important to get clarification on, even if you may be the only one asking about them. Prioritize your questions or concerns so that the most important things get addressed in case time runs out. Even at routine checkups, it can be helpful to bring someone along to take notes and to ask questions you may not think of. If the person happens to be a family member or someone who spends a great deal of time with you, they also may be able to contribute their observations about the progression of your MS for your doctor. Whether you have “white coat syndrome,” meaning you're nervous around doctors, or you're totally comfortable with your neurologist, adopt a positive attitude about your appointments. Remind yourself that even if your neurologist is a medical genius, he or she cannot read your mind or see what is happening with your symptoms outside of his office unless you tell him or her. Being diagnosed with multiple sclerosis can be an overwhelming time for you and your loved one, and finding a neurologist to help care for you is the first step in this long journey. Try to take it day by day and remember, you are not alone, and you can feel well again.